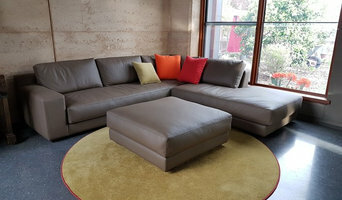 Deluxe Upholstery Cleaning Adelaide are leaders in the cleaning industry with a reputation based upon quality cleaning, excellent customer service and affordable prices. 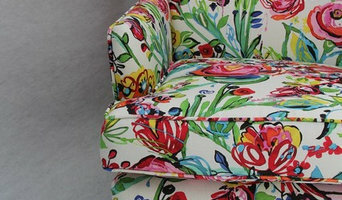 Looking for Upholstery cleaning service who care? 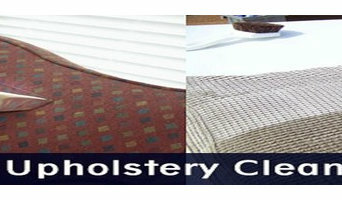 Call us 1800 055 451 and get a great services for Upholstery cleaning Adelaide. We at Clean Master Adelaide where our central focus is to give quality services at affordable prices and we are assisting our clients across all the areas of Adelaide for many years. Moreover, we provide instantaneous services such as Carpet Stain Removal, Carpet Cleaning Adelaide, Steam Carpet Cleaning Services, Emergency Carpet Cleaning, Dry Carpet Cleaning and more. Additionally, we repair your carpets with proper procedures and make them look brand-new and spotless again. We favour just certified cleaners who are well-trained in giving quality services. Our professionals are able to help you anytime according to your choice. Call us at 61 414 354 432 immediately. We are available on weekends as well. The most fancied company Deluxe Upholstery Cleaning where we implement effective upholstery cleaning services such as Upholstery Cleaning Adelaide, Sofa Cleaning, Couch Cleaning, Leather Couch Cleaning, Leather Upholstery Cleaning, couch dry cleaning, steam clean couch and more. We present the best couch cleaning services to our clients and always ready to accommodate our customers. Our professionals are well trained and experienced. Our techniques are also safe for the environment and family. We always use the best accessories and appliances while couch cleaning. 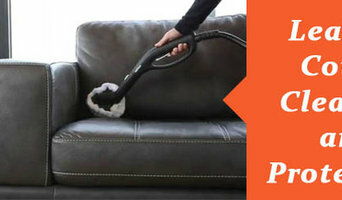 So, call Deluxe Upholstery Cleaning at +61 414 530 372 and get professional couch cleaning services on the same of booking. We are professional carpet cleaners based in Adelaide. Statewide Carpet Cleaners is a South Australian owned and operated company providing premium carpet and upholstery services. When you invite Imperial Carpet & Upholstery Cleaning into your home or business we guarantee that you will be truly delighted with the results. You can enjoy the feeling of soft, clean, fresh and healthy carpets again. As well as all aspects of carpet care, we also specialise in: Residential & Commercial Carpet Cleaning Persian rug cleaning service (including pickup and delivery) Upholstery cleaning and protection Leather cleaning, conditioning and protection Wools of New Zealand recommended spot cleaners We are so confident that you'll be absolutely delighted with the results that we promise you a 200% money back guarantee "if you are not delighted with the results we will refund your money within forty-eight hours and pay for another carpet cleaning company." Our Health & Environmental Cleaning System combines state of the art technology and cleaning science to remove harmful soils and allergens from your carpets, exceeding Australian Standards AS3733. Our Cyclone technology removes the highest level of microscopic particles and hospital grade HEPA filter captures bacteria and dust mites - ideal for asthma and allergy sufferers. Möbeltapetsering är ett hantverksarbete som funnits sedan flera år tillbaka. En tapetserare är den person som arbetar med att klä om möbler samt utför stoppningsarbeten. Personen kan utöver att tapetsera möbler även ofta framställa segel samt sadlar. Det finns alltså olika genrer inom yrket. I grund och botten renoverar tapetseraren möbler vilket innebär att man kan anlita personen för att klä om allt mellan en stolsdyna, sänggavel, fåtölj eller kökssoffa. Vill man använda sig av en tapetserare i Green Hills så hör man av sig till närmaste, eller bästa, tapetserarverkstad för att se vad de kan hjälpa till med. Man kan med enkla medel förändra utseendet på sina möbler markant. Med lite färg och tyg kommer man långt. Genom att klä om sina dynor på stolarna i köket eller tapetsera en större lampskärm får rummet ett helt nytt utseende. Har man vackra trämöbler kan man modernisera dessa med ny färg. Ett tips är att kontakta en möbelrenoverare i Green Hills, SA, AU om man vill klä om större objekt så som en skinnsoffa eller större fåtölj. Enklare saker kan man med fördel förändra själv. Priset på omklädning av möbler i Green Hills varierar beroende på storlek och mängden arbete men även på vilket tyg man väljer. Väljer man ett lite dyrare tyg och känner att man skulle unna renovera sin soffa eller fåtölj själv så kan detta vara ekonomiskt smart, men inte alltid det bästa valet.